As we know, this is a year Hanukkah overlaps Christmas and there’s lot of great celebrations going on around the city. If you are looking for an alternative to Chinese food and a movie on Christmas Day, head on over to City Winery for: Naomi Less Band presents: Any Way You Light It – a Hanukkah Rock Show for Families. Naomi Less is an international Jewish music sensation. 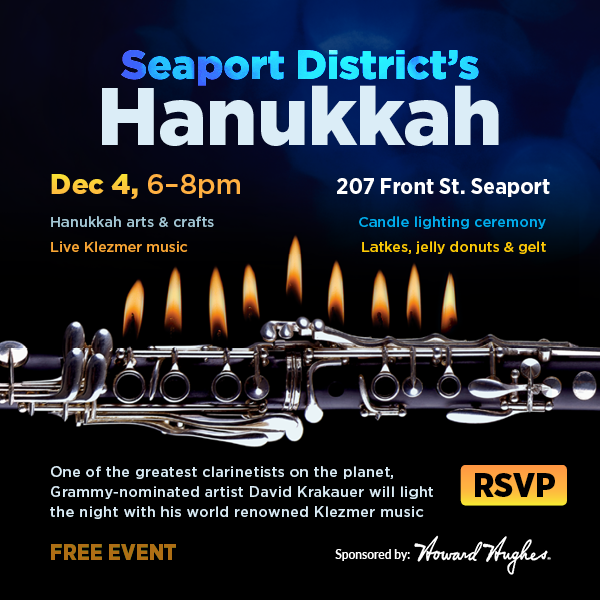 This is an all-ages, interactive, family-friendly, theatrical rock show sharing the stories of Hanukkah through a 5-piece band. She’ll have you singing along, clapping dancing around all afternoon! The opening act is Kendell Pinkney in “Grown Ups Cracking Up” PJ Library program.